Juan Ramirez Jr., a fifth-year Ph.D. candidate in electrical and computer engineering, has been selected as the recipient of a 2017 Samuel DuBois Cook Society Award. The society was founded in 1997 in honor of the first African American faculty member hired and tenured at Duke and his service to the university, to the cause of African American advancement, and to the betterment of relations between persons of all backgrounds. Ramirez will receive his award at the Cook Society’s annual dinner and awards ceremony on February 21 at the Washington Duke Inn. 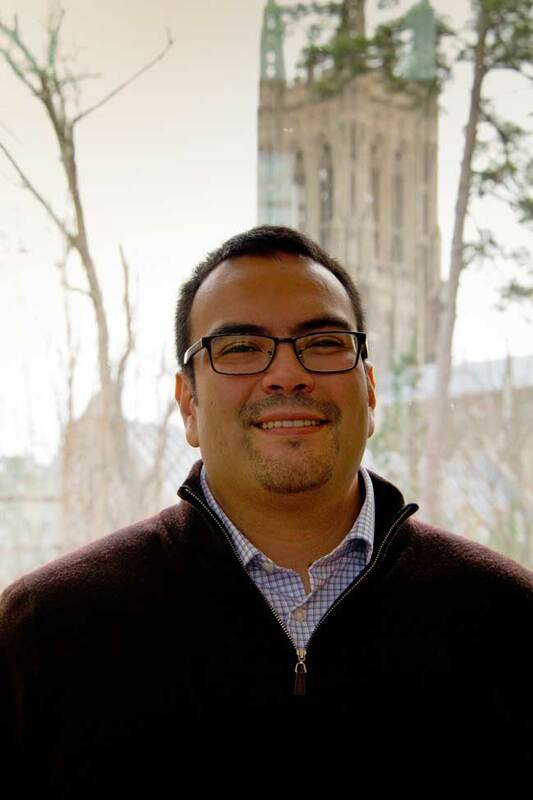 Graduate School assistant deans J. Alan Kendrick and Melissa Bostrom nominated Ramirez for his efforts in helping Duke recruit and retain students of color in engineering and the broader STEM disciplines. Those outreach efforts have included working for the past two years with the SENSOR Academy at Duke, a hands-on education program that engages eighth-grade underrepresented minority students in materials science and water quality testing to encourage them to consider careers in science and engineering. Ramirez has also assisted with recruiting efforts at annual conferences of the Society for the Advancement of Chicanos and Native Americans in Science and the Annual Biomedical Research Conference for Minority Students. Before coming to Duke for his Ph.D., Ramirez, born and raised in East Chicago, earned bachelor’s degrees in electrical engineering and mathematics from Purdue University Calumet, a master’s in applied mathematics from Purdue University, and a master’s in electrical engineering from the University of Colorado. He has authored seven articles and has received a number of awards, including the Charles R. Vail Memorial Outstanding Graduate Teaching Award from Duke in 2014–2015. Ramirez will be the 10th graduate student to receive a Cook Society Award. Courtnea Rainey, a Ph.D. graduate from psychology and neuroscience, received the award in 2016.